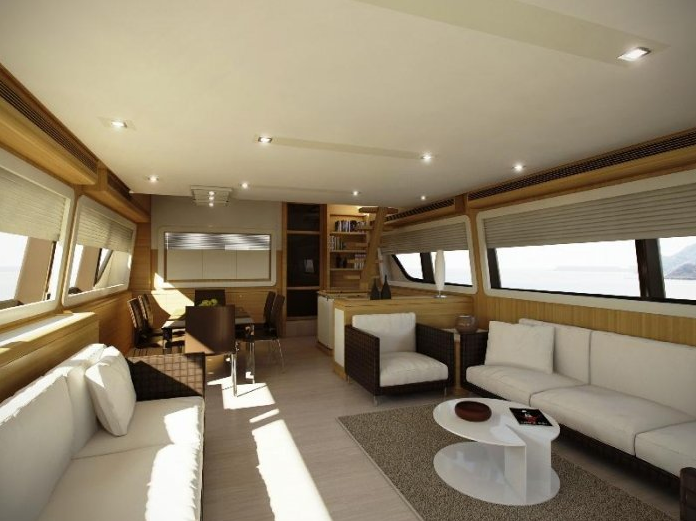 If you have any questions about the Ferretti 800 information page below please contact us. The extremely manageable Ferretti 800 motor yacht is just over 24 metres in length, which often is referred to as a pocket Super Yacht. The Ferretti 800 has a perfect hydrostatic trim, with an excellent sea keeping, going beyond the performances and noisiness expectations when cruising. Ferretti 800 is also extremely manageable when turning, with great satisfaction of AYT, responsible for the project which has been developed together with Studio Zuccon International Project. 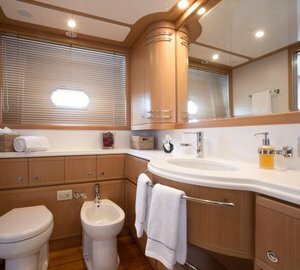 She also provides a different interior combination, with a lower deck having the crew members to fore, engines aft, and therefore allowing for larger space for the owners and the guests to enjoy the yacht. 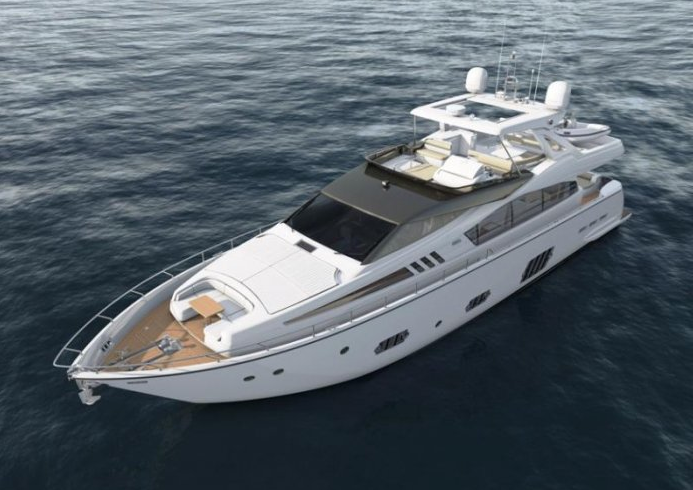 Ferretti 800's clever design by Zuccon makes an impression of a raised pilot house, but in fact it is not. Even though the lower helm station has a feeling of being separate with three steps up from the lower part of the saloon. 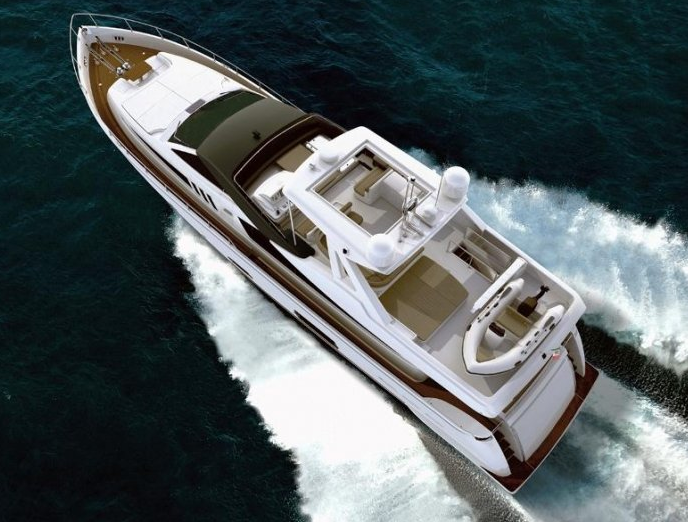 Ferretti 800 is powered by MAN 1800 hp and her estimated top speed is 31 knots. Although this agile super yacht Ferretti 800 will be presented during an event in April 2010 and officially launched at the Cannes Show in September 2010, please do contact us for further information if required. 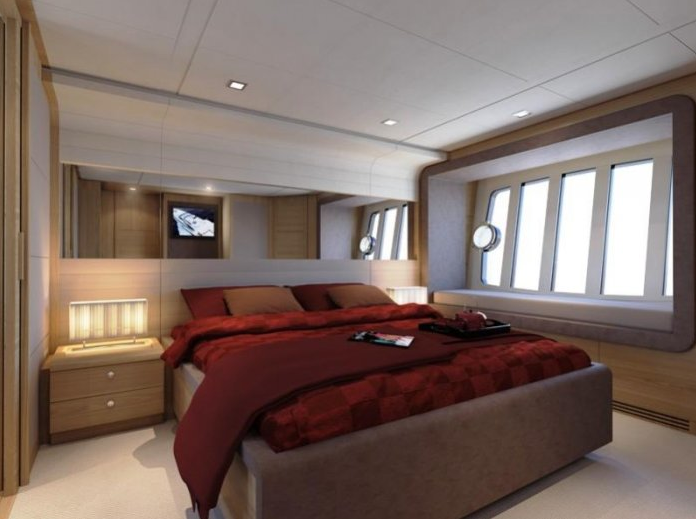 The Ferretti 800 Super Yacht sleeps eight guest in four cabins. We do have available further amenity, owner and price information for the 24.73 m (81'2'') yacht Ferretti 800, so please enquire for more information. The luxury yacht Ferretti 800 displayed on this page is merely informational and she is not necessarily available for yacht charter or for sale, nor is she represented or marketed in anyway by CharterWorld. This web page and the superyacht information contained herein is not contractual. All yacht specifications and informations are displayed in good faith but CharterWorld does not warrant or assume any legal liability or responsibility for the current accuracy, completeness, validity, or usefulness of any superyacht information and/or images displayed. All boat information is subject to change without prior notice and may not be current.